Fat embolism syndrome (FES) is a life-threatening situation, which warrants greater emphasis than it receives in the literature. FE occurs following various medical and surgical conditions leading to a cascade of systemic inflammatory process affecting multiple organs of the body, which may lead to end-organ failure. It has high mortality and morbidity. Despite advancement in science and technology, diagnosis of this fatal syndrome is mainly based on clinical symptoms and signs and no major definitive diagnostic tool and treatment method is available. At present, treatment of this disastrous medical condition is only supportive. In this review, we summarize the incidence, etiology, pathophysiology, and management of FES. BACKGROUND: Lateral epicondylitis responds well to conservative methods of treatment such as drugs, braces and local infiltration of steroids, autologous blood, and platelet-rich plasma. The patients who do not respond to conservative methods become candidates for surgical intervention. In our study, we have performed the Nirschl procedure through a smaller incision. 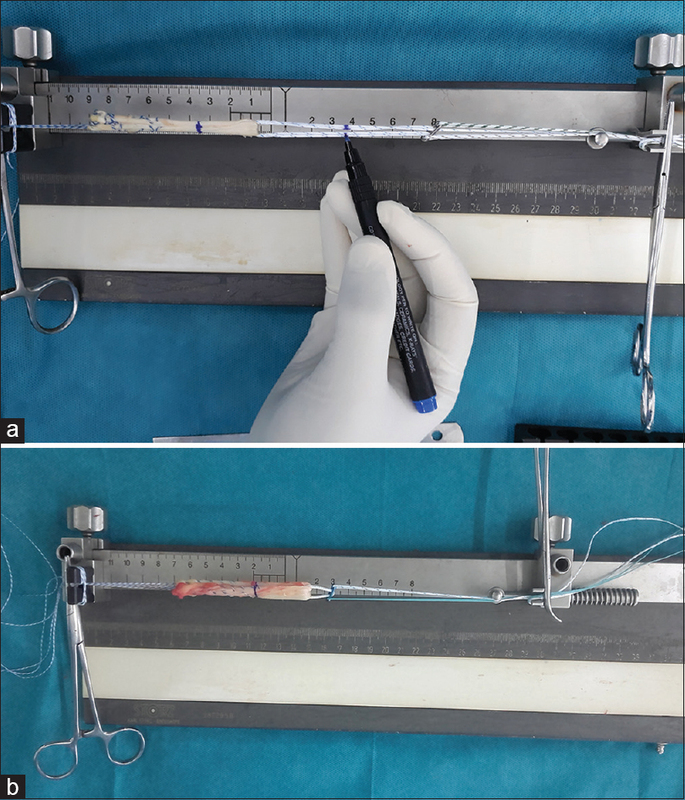 MATERIALS AND METHODS: Our study included 18 patients having lateral epicondylitis treated with an open debridement of extensor carpi radialis brevis using a small incision. In our study, we had six males and 12 females, with 14 patients having involvement on the right side and four patients on the left side. Patients were followed up for a mean period of 28.8 months, and the final outcome was assessed using the QuickDASH score, visual analog scale (VAS), and the Nirschl and Pettrone's grading system. RESULTS: According to the QuickDASH scoring scale, the preoperative mean score improved from 74.4 to 49.7 postoperatively, which is statically significant (P < 0.05). According to the Nirschl and Pettrone's grading system, 14 (77.7%) cases were excellent, 3 (16.7%) were good, and 1 (5.6%) was fair and none had a failure. The mean VAS score for pain at rest improved from 4.7 (range from 3 to 6) preoperatively to 0.7 (range from 0 to 2) at the last follow-up (P < 0.05)). The mean VAS score during daily activities improved from 6.9 (range from 4 to 8) preoperatively to 1.2 (range from 0 to 2) at the last follow-up (P < 0.05). CONCLUSION: Surgical intervention via the Nirschl operative technique is ideal for recalcitrant lateral epicondylitis. INTRODUCTION: Shoulder arthroscopy can be performed under regional blocks or general anesthesia. General anesthesia using laryngeal mask airway (LMA) can be an alternative to regional techniques. Insertion of LMA within the hypopharynx mandates a depth of anesthesia apt enough to relax the jaw and obtund the laryngeal reflexes. Various adjuncts are combined with the induction agent propofol to facilitate improved insertion conditions of LMA and improved pain scores in shoulder surgeries. AIM: The aim of this study was to a comparison of insertion conditions of LMA and postoperative pain scores in shoulder arthroscopies using either intravenous (IV) butorphanol or IV fentanyl in combination with IV propofol. METHODS: A total of 100 patients scheduled for various elective surgical procedures were randomly selected and divided into two groups of 50 each, that is, Group F (propofol and fentanyl) and Group B (propofol and butorphanol). Coinduction was done in Group B with IV butorphanol (30 μg/kg) and in Group F with IV fentanyl (1.5 μg/kg). One minute after coinduction, the induction was achieved with IV propofol 2.5 mg/kg, jaw relaxation was assessed, and LMA was inserted. The postoperative pain scoring was done with visual analog scale (VAS). RESULTS: With the observations made and analyzed, we found that the LMA insertion conditions were significantly better with butorphanol (jaw relaxation [90% vs. 34%; P < 0.0001] and ease of insertion [96% vs. 66%; P = 0.0001]) than fentanyl. Comparison of average VAS score of patients postoperatively during the study showed low VAS score in both groups at 1 h, but Group B showed significantly lower score as compared to Group F. Group F showed a higher mean score of VAS at 2 h and 4 h and signified first analgesic need in the majority. CONCLUSION: The use of propofol-butorphanol combination produces excellent LMA insertion conditions as compared to propofol-fentanyl combination. Lower VAS scores due to analgesic effects of fentanyl and butorphanol contribute to painless shifting of patients undergoing shoulder arthroscopy. CONTEXT: Anterior cruciate ligament (ACL) reconstruction has remained the gold standard for ACL injuries, especially for young individuals and athletes expose to high-level sporting activities aiming to return preinjury level of activity. Femoral cortical suspension devices have gained popularity. However, there are limited studies specifying a superior graft fixation technique. AIMS: To evaluate outcome of arthroscopic ACL reconstruction using fixed closed loop fixation (CLF) and adjustable loop fixation (ALF) techniques. SETTINGS AND DESIGN: Prospective case series. 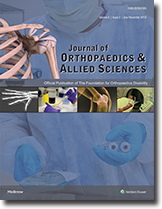 MATERIALS AND METHODS: 40 cases were included in the study, among of which 20 cases, underwent arthroscopic CLF and another group of 20, who were operated on using ALF. Clinical outcome was assessed using manual tests, i.e., Lachman and pivot shift, and results were graded using the International Knee Documentation Committee. Lysholm score was used to evaluate functional outcome up to 6 months. STATISTICAL ANALYSIS USED: Data were analyzed using SPSS version 21. RESULTS: There were no significant differences in manual Lachman and pivot shift grading in both groups. One case (5%) in CLF group and 15% in ALF group were showed Grade B clinically laxity by Lachman, and one case (5%) in CLF group and 10% in ALF group were showed Grade 2 + rotatory laxities by pivot shift. The study found no statistically significant differences in functional score between the groups (P = 0.245). CONCLUSIONS: In femoral fixation of ACL graft both CLF and ALF techniques may provide secure fixation, equal reduction of graft laxity, and similar functional outcome in ACL deficient knee. INTRODUCTION: Osteoid osteoma is a benign but painful bone tumor that is treated with the excision of the nidus. 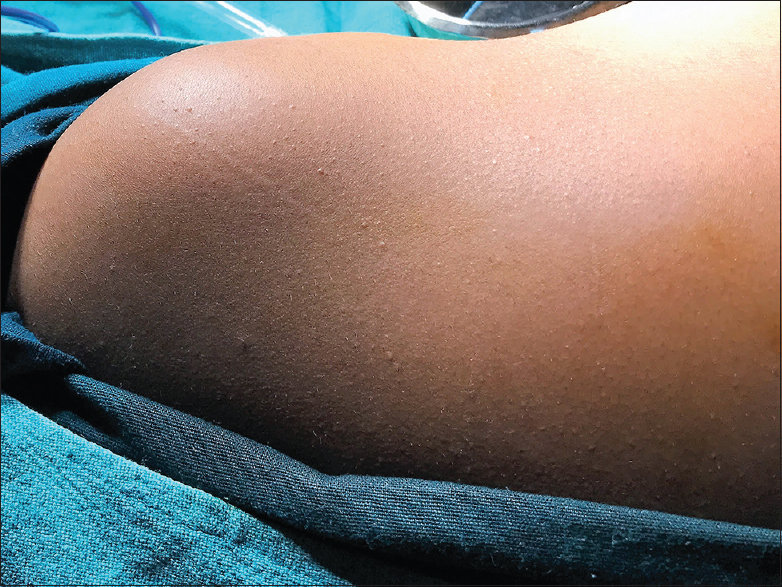 Due to difficulties in reaching the tumor, intraoperative localization may be needed for complete excision without unnecessary resection of the surrounding bone. AIM: The aim of this study was to evaluate the effectiveness of intraoperative gamma probe application in the preoperative planning and for intraoperative localization of osteoid osteoma. MATERIALS AND METHODS: The study included a total of 26 patients, comprising 10 females and 16 males with a mean age of 19.6 years (range: 6–45 years), who were prediagnosed with osteoid osteoma based on clinical and radiological findings. All patients were admitted for surgery following bone scintigraphy. All operations were performed with the use of a gamma probe. RESULTS: Clinical results were obtained from the postoperative pain evaluation, and excised bone tissue fragments were evaluated histopathologically. Localization of the lesion area was made intraoperatively using a gamma probe in all patients. A statistically significant difference was determined between the radioactivity counts in the normal peripheral bones of the lesion and the lesion area itself (P < 0.001). The ratio of lesion to normal tissue was 4/1 on average. The radioactivity level dropped by 62% on average (30%–90%) in the cavity cleaned after postresectional excision of the pathological tissue. The radioactivity counts in the cavity after resection was found to be significantly lower than those of the lesion area before resection (P < 0.001). CONCLUSION: The use of a gamma probe in intraoperative localization following a preoperative injection of99mTc-methylene diphosphonate, is an easy and safe method that helps in the localization of osteoid osteoma nidus during surgery and guides a limited but complete resection of the tumor. 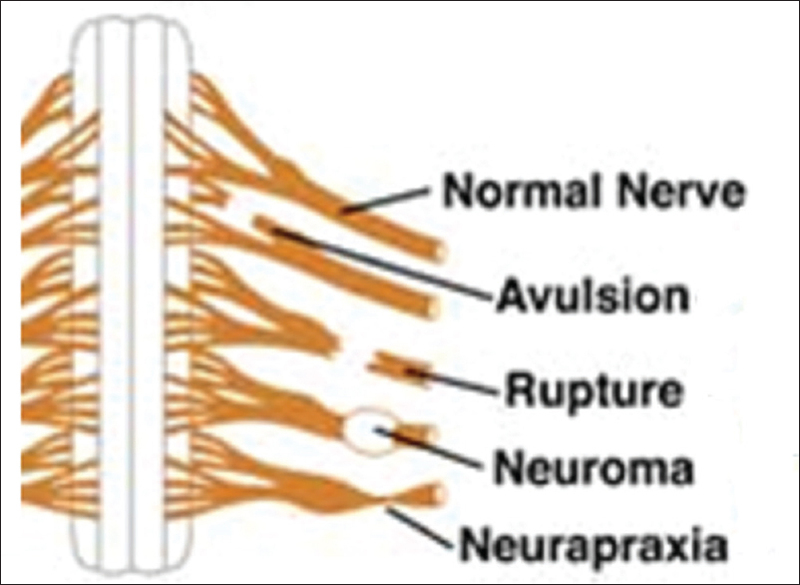 Fractures and blunt Injuries following birthday bumps are reported in literature, but to the best of our knowledge, brachial plexus injuries following birthday bumps have not been. Reported is one such case which was managed conservatively. The neuro deficit recovered completely over the course of time. Teenagers especially college and hostel students may hide the mechanism of injury, and it may distract the physician from arriving at proper diagnosis. To avoid similar injuries in future, it needs counseling and proper adolescence care. Ganglion cysts are found in locations which are under constant stress. 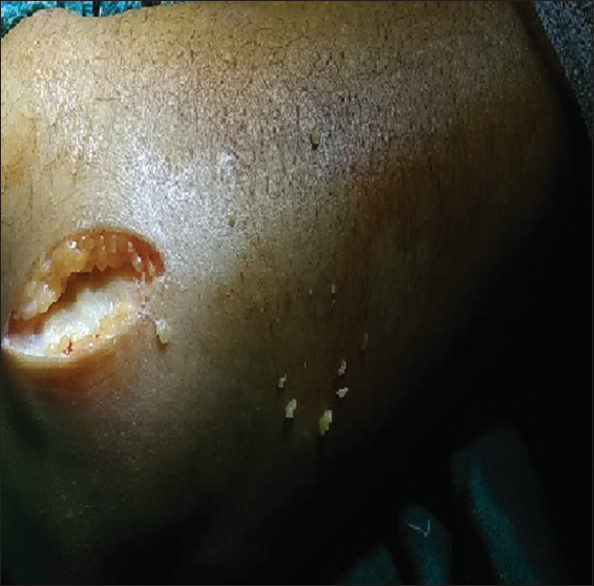 Although somewhat controversial, one common explanation for the formation of ganglion cysts is that they are the result of mucoid cystic degeneration in collagenous structures. Most commonly, they are found along the tendons or joints of wrist or hand. The common locations of ganglion cysts are the wrist, knee, and anterolateral aspect of the ankle. Intra-articular ganglion cysts of the knee are rare, and most originate from the cruciate ligaments. The symptoms and signs of intra-articular ganglion cysts of the knee are pain, effusion, limitation of motion, and a clicking sensation. Increased size may lead to increased symptoms. Their location can sometimes interfere with joint movement. 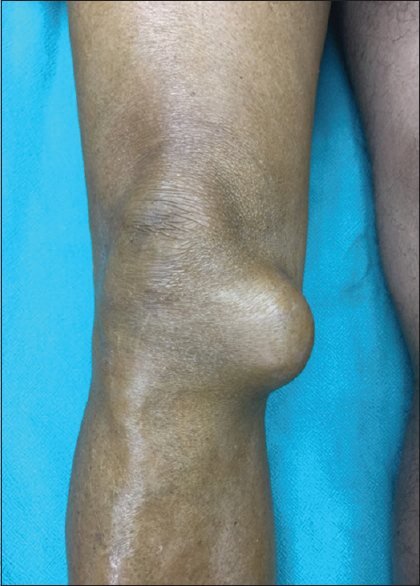 We present a case of ganglion cyst arising over medial collateral ligament which was presented as a swelling and investigated using sonography, magnetic resonance imaging and arthroscopy, surgically resected and confirmed on histopathology. Thus awareness of the symptoms and locations is necessary. Osteochondromas rarely grow from flat bones such as scapula and pelvis. These tumors grow in sync with the growth of the child. They usually involve the growing ends of long bones, more commonly the distal end of the femur. 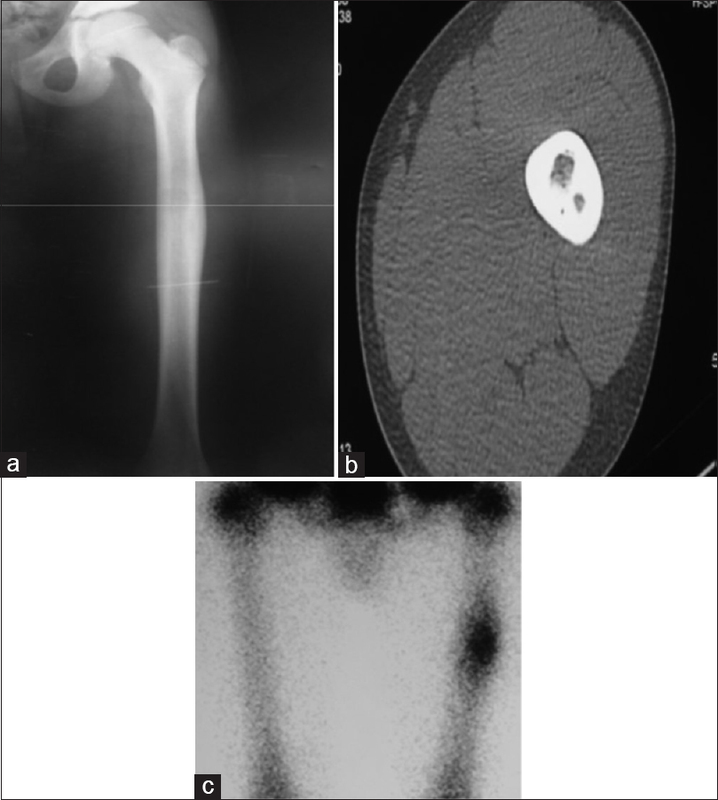 We report a 15-year-old boy presenting to us with an osteochondroma of the iliac wing. It was a rare sessile variant. The tumor was causing him extreme pain and mechanical block to squatting, sitting cross-legged, and walking. The tumor was surgically removed by extraperiosteal resection. The patient was followed up for 1 year. He did not suffer from a recurrence or symptoms of pain or weakness after 1 year. Pelvis forms an unusual site of presentation for an osteochondroma. These tumors, should they arise from the pelvis, are notoriously dangerous as they may cause compression of lumbar nerve roots. Complete removal of these tumors extraperiosteally gives a drastic relief to the patient's symptoms. The patient should be followed up carefully to look for recurrence of this tumor.